Squealing Pig: how rhyme and reason created a boutique powerhouse. 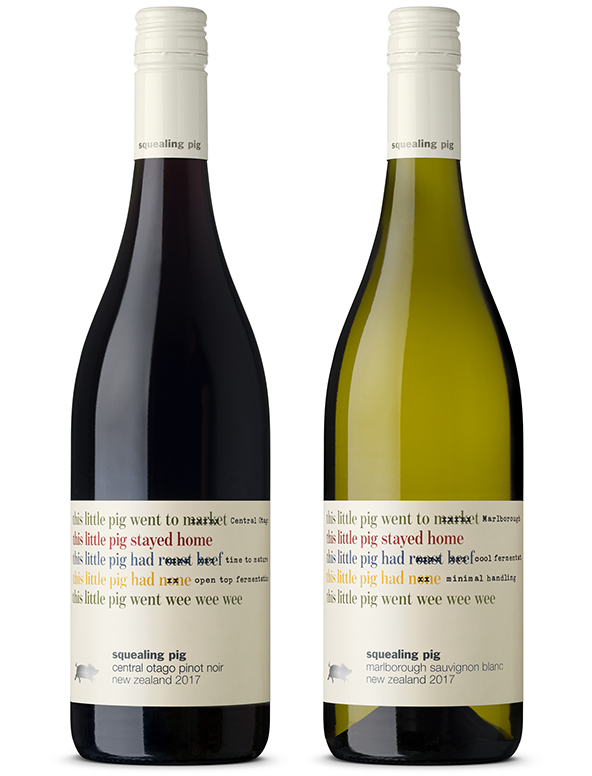 This little pig began life when our client wanted to launch a slightly eccentric, boutique brand with serious winemaking credentials from a vineyard in Marlborough named Squealing Pig. There was some negative feedback to the name (too “critter” or sinister), so our challenge was how to reflect the quality of the winemaking and neutralise the name’s negative connotations. 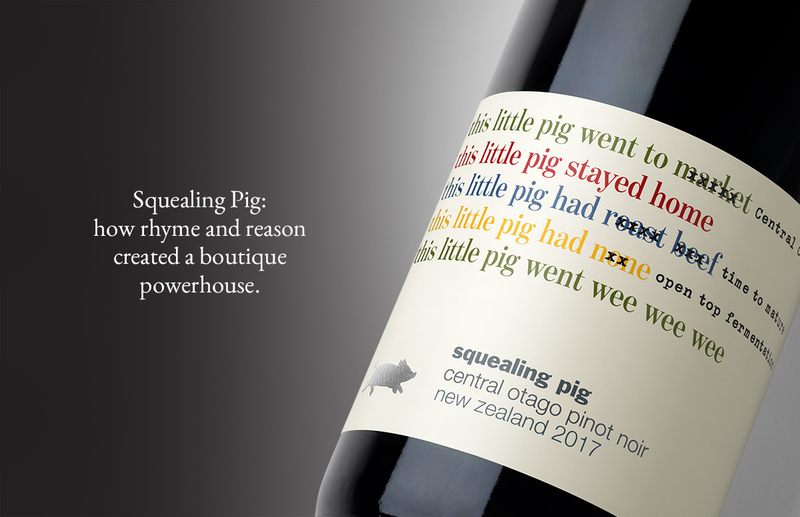 Of all the brand names we have worked with, Squealing Pig was one of the toughest: great for a cute “critter” brand, but a serious boutique wine from New Zealand? 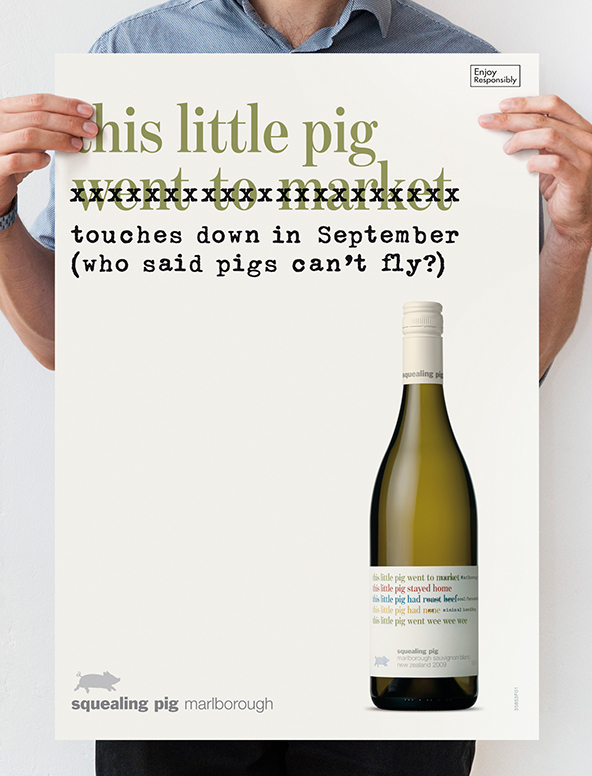 Thank goodness for an old nursery rhyme which we then edited with an unseen hand to incorporate serious winemaking cues. The power of Squealing Pig is the brand’s tone of voice which conveys the lively personality of the brand. 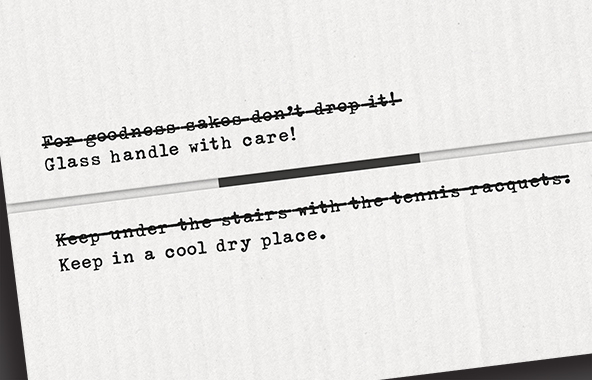 This refreshing alternative to serious wine speak is carried through to every consumer touchpoint, even managing to bring life to storage instructions on the shipping carton. When it launched in 2008, the packaging and point of sale turned this little pig into a powerhouse $1 million+ pig in just two years. 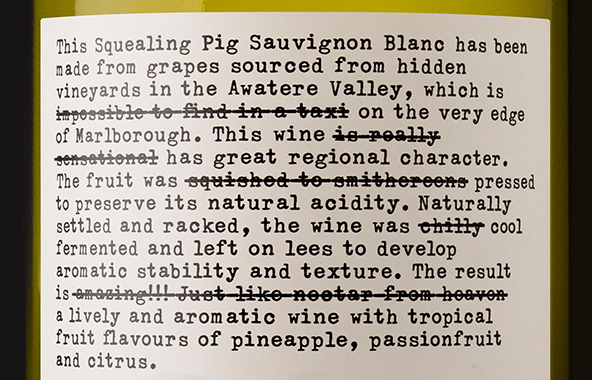 Ten years later, the brand continues to resonate with consumers: Squealing Pig Rosé is now No. 1 in the Australian Market.